Theoretical physicist Prof. Stephen Hawking and science philanthropist Yuri Milner unveiled an initiative in 2016 called Breakthrough Starshot, to send light-propelled space nanocrafts toward Alpha Centauri. These could fly at 20 percent of light speed and capture images of possible planets and other scientific data in the Alpha Centauri system just over 20 years after their launch. Researchers are interested in Alpha Centauri because of the possibly that it may contain an Earth-like planet that could be habitable. A phased array laser transmitter, like this one (left photo) developed by II-VI provides technology for the Breakthrough Starshot program that would enable space nanocrafts to be propelled to the nearest stars. 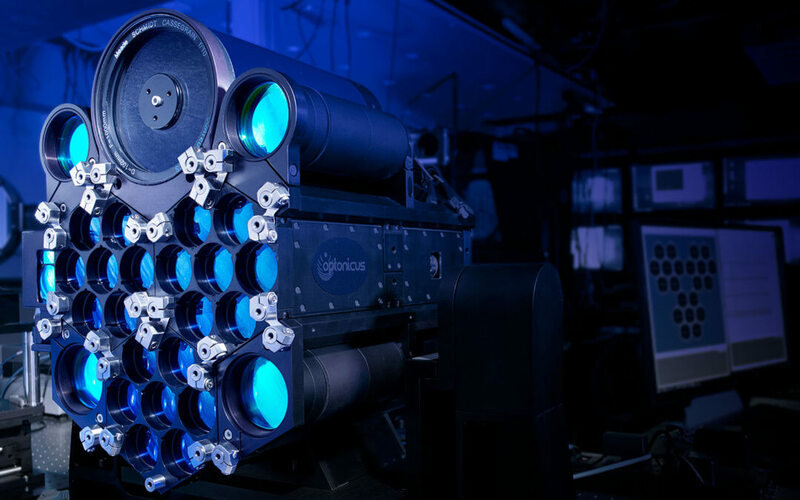 Through cutting edge optics and specifically engineered laser components, a convergence of laser beams from the device’s 21 lenses would allow communication with these space nanocrafts. The laser array proposed through the Starshot program would combine close to a billion similar beams that all require precise optics and coatings, and specialized laser components.